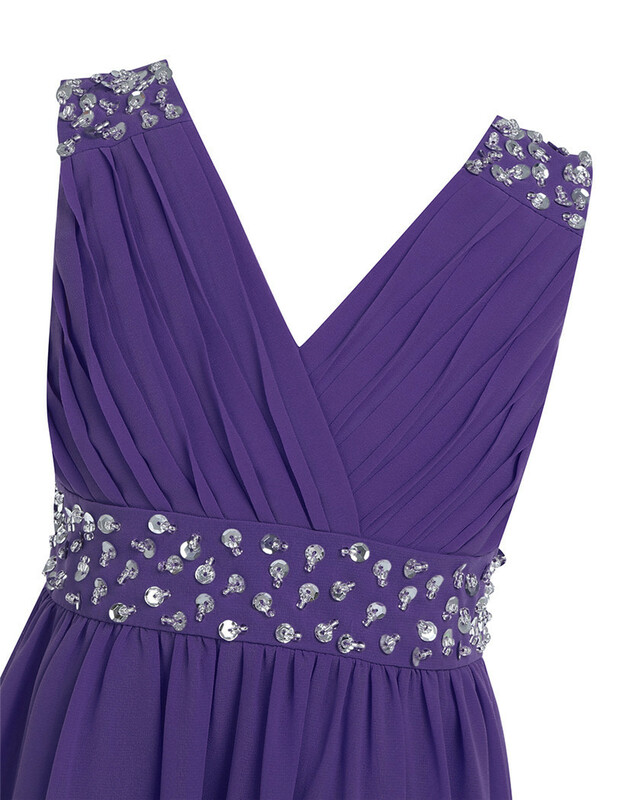 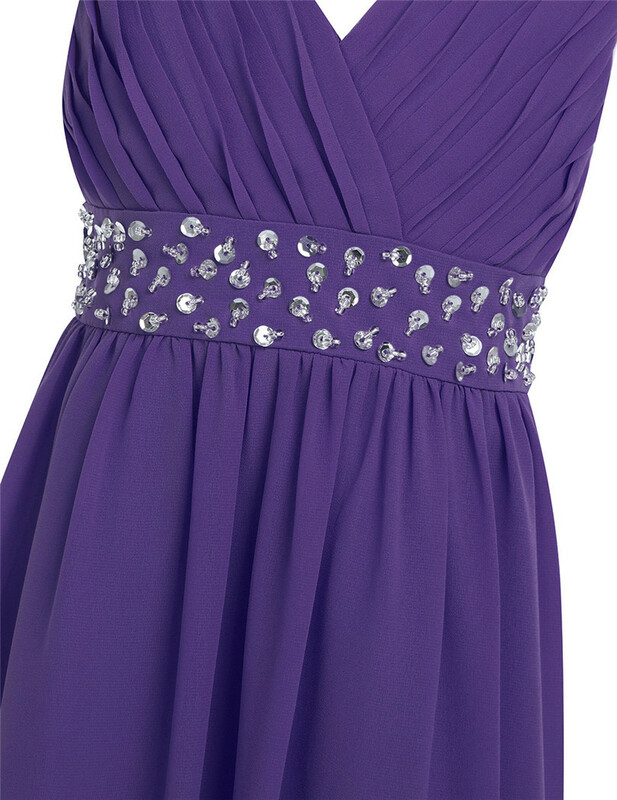 Shoulder straps and front waist are sewed on the glitter sequins and beads for decoration. 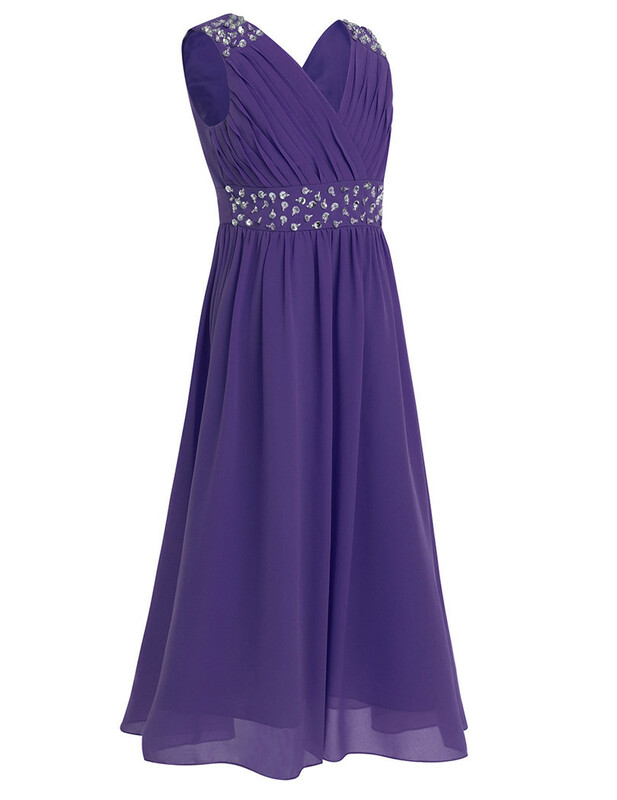 Pleated front and ruched at waist. 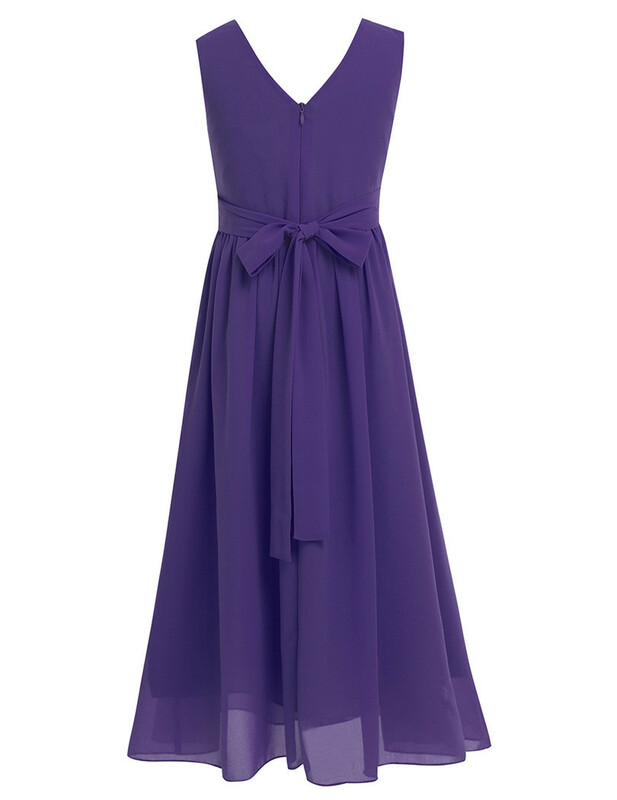 2 layers dress, 1 chiffon layers and 1 satin lining. 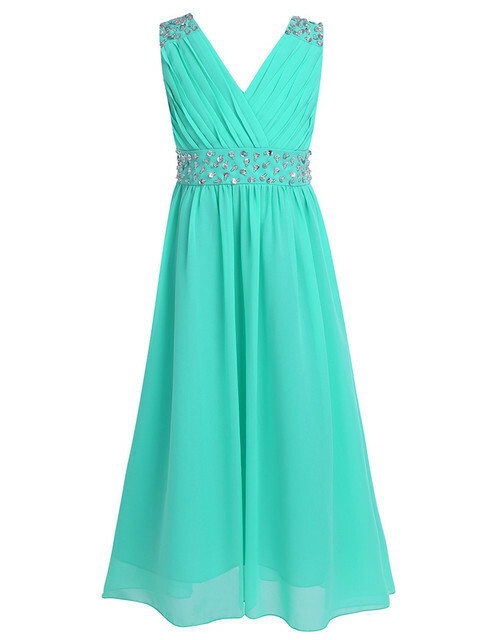 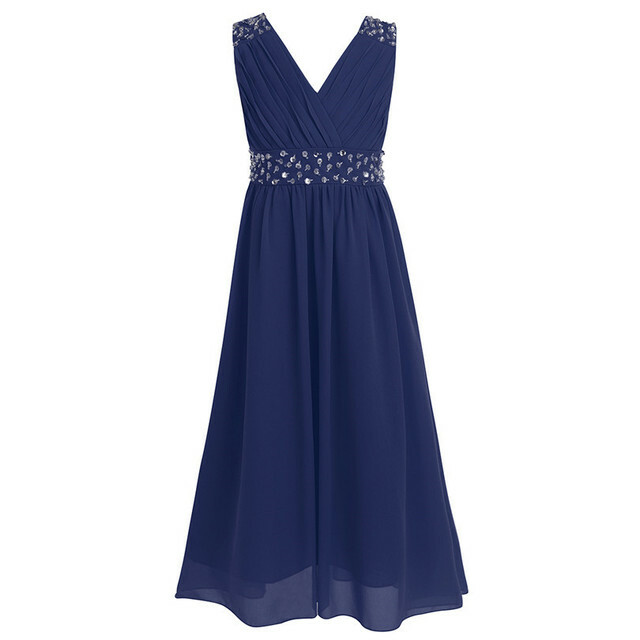 Perfect for party, wedding, birthday, prom and other special occasions.